The hydrogen initiative is stalled. The hydrogen fuel cell cars work fine but no good solutions have been found to the problems of where to get the hydrogen, how to deliver it and how to store it. 95% of our hydrogen is made from natural gas, which is abundant on earth and already distributed at 1/3rd of the price of gasoline. Ceramic fuel cells that can make electricity from natural gas at 60% efficiency. ANG: Adsorption stores natural gas at low (500 psi) pressure in compact tanks. A glut of cheap natural gas caused by new shale drilling/extraction techniques. The fuel cell breakthrough is particularly important because it means a car can generate its own electricity more efficiently than a massive power plant! Big plants typically average 30% efficiency, so a 60% NG fuel cell hybrid is twice as efficient as an electric vehicle charged from the grid. That means half as much fuel is consumed. Twice as efficient as an electric car is saying a lot because electric cars are already three times more efficient than conventional cars. This is because internal combustion engines are less than 30% efficient verses 90% for electric motors. Natural gas fuel cell cars are thus about six times more efficient than today’s cars. Using 1/6th as much fuel means pollution is also 1/6th . But NG is inherently very clean. and has 30% lower carbon content and virtually no sulfur, mercury, volatiles, and Nox so pollution is way less than 1/6th. Since NG fuel cells have a warm up time, the hybrid batteries must have enough capacity for all-electric operation until warm up is complete. After warm up, the fuel cell keeps the batteries charged and the batteries provide power for peak loads and acceleration and recapture energy on braking. A Prius uses 16.8 kW for continuous 70 mph driving on a level road. The fuel cell must be able to supply this much power for steady driving. Natural gas is already distributed by pipeline to homes all over the US and UK, so home refueling is possible. Compressed Natural Gas (CNG) is already used to run five million vehicles worldwide. Pump prices for CNG are about one third of the price of gasoline in spite of the expensive ($350k), 3600 psi pumps and fittings currently used for delivery. The pipeline cost of natural gas is only 1/4th of the cost of crude oil with the same energy content. If much simpler, 500 psi Adsorbed Natural Gas refueling is adopted, prices could be reduced even further. Cost per mile for a NG fuel cell hybrid would currently be only 1/18th of present cars but could be reduced even further with low pressure ANG refueling! 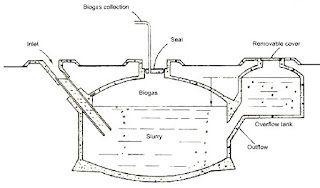 ANG fuel tanks contain activated carbon “sponges” that adsorb 160 times their own volume of natural gas. They can be made from Corn cobs , which have a network of nanoscale passageways that remain after carbonization. One gram of this material has as much adsorbing surface area as a football field. When natural gas is adsorbed on a carbon surface it ceases to act like a gas. Dense storage at low pressure makes it possible to hide the much smaller tank inside the car's frame. Even if we kept the existing CNG high pressure storage, the tripled efficiency would allow fuel cylinders only 1/3rd as large as present CNG tanks. So an NG fuel cell hybrid is a lot like a Chevy Volt with a fuel cell replacing the range extender (engine/generator) and a much smaller battery. Its battery only needs to be large enough to run the car during warm-up of the fuel cell, currently about 15 miles. The Chevy Volt's 40-mile battery is rumored to cost $5000, so the NG car's 15-mile battery would cost $3125 less. Incidentally, at these battery prices a 400-mile range pure electric car would need $50,000 worth of batteries! Clearly, small batteries with range extenders are the way to go until we have a significant battery breakthrough. Pure electrics have other problems too: A 110v, 20A household plug can only supply 2.2 kW which means that, unless you add 220v service, 10 hours of home charging will only take you 10 x 2.2 x 4 mi/kW = 88 miles. Natural gas today is primarily a non-renewable, fossil fuel. But people have already begun selling renewable gas into the pipeline. Landfills, manure piles and sewage plants that used to release significant amounts of methane into the atmosphere are now selling it as green gas. Biomass and garbage can also be gasified to add to the supply. The energy balance of grass bio methane production is 50% better than annual crops now used. Though the US power grid uses significant hydro power and other renewables, CO2 emissions are still almost twice as much per kilowatt-hour as a 60% efficient NG fuel cell. In 2007 the US power grid emitted 605 grams/kWh. A NG fuel cell emits only 327 grams. At 4mi/kWh that translates to about 151 grams per mile for a grid charged car verses 82 for the NG fuel cell car. 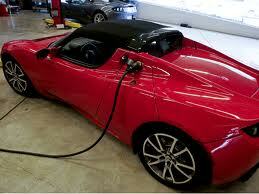 Someday the grid could be cleaned up so that electric cars charged from it are cleaner than NG fuel cell hybrids. EIA data makes it easy to track our progress towards this goal: In 1996 we emitted 627 grams of CO2 per kWh and by 2007 this was reduced to 605 grams. That’s a 2-gram per year decrease. If we continue at that rate, it will take 139 years to equal what we can do now with a NG fuel cell. Recent years show even less progress. There was no improvement between 2006 and 2007. Plugging into the grid is, unfortunately, a bit like plugging into a lump of coal. Infrastructure expansion also favors natural gas. Gas pipelines cost half as much to build as ugly overhead electric transmission lines of the same power capacity. Gas also has one fourth the transmission loss of electricity and much cheaper energy storage. Depleted gas fields and salt caverns are already storing 4.1 Tcf of gas in the US. At 60% efficiency this could produce 1,970 gigawatt-hours of electricity. A very cheap battery! Fuel cell developers are in a race to commercialize suitable fuel cells. The first products using NG fuel cells are home CHP electricity generators that use their waste heat to make hot water. The fuel cells in these units produce only 2 kW but they can start up from an idle state in 5 or 6 minutes. 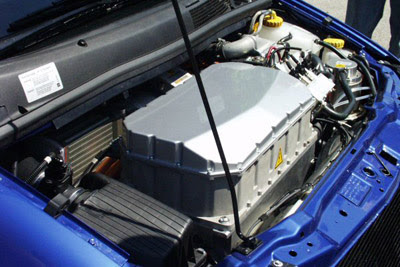 Scaling up to 15 kW and adapting to the tough environment of a car could take years. Another company is developing a fuel cell range extender that is fueled by methanol. Methanol has only half the energy density of gasoline but, because of the high efficiency, fuel tanks would still be smaller than current gasoline tanks. “Price at the pump” is the one thing that seems to get voters excited. Reducing fuel cost/mile by a factor of 18 with a fuel that is 97% from North America while using corncobs should generate some excitement. The hydrogen initiative should be immediately redirected to focus instead on a fuel that is plentifully available, transportable and storable. Finally if the Governments of the US, UK Europe and the rest of the world wish to allow some kind of demarcation as its a transport fuel (and thus subject to some form of road pricing tax) then LPG is already available as both a transport fuel. It is also subject to the tax as well. LPG whilst a more complex molecule could still be developed as the fuel cell of choice by the motor industry. AD and CHP - What? However, this so called 'low grade' heat to you and me living in a house is more than enough to give us central heating and hot water. It's also enough to run through a device called an 'absorbtion chiller' so we get chilled water to run an air conditioning system. The good thing about using the 'waste' heat in this way is that we get a lot more use out of the energy (from the methane) gas. So 20-25% of the energy from the gas gives you the electrical power generation, but we can also get around 50-60% use from the Heating and Cooling. This jacks the efficiency of a CHCP system up to the 80-85% energy efficiency range. As you will agree its a lot better than 20-25%. So energy efficiency is a major benefit. This is what a CHP unit looks like nothing to be scared of here? 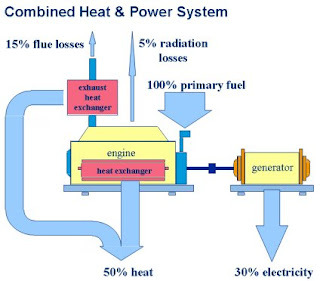 If a CHP unit was to replace simple power generation then we can practically quadruple the benefits or useful energy. This is the basis of what is called 'Distributed Energy', rather than just focusing on electrical generation as our Utilities have done for a long time in the UK and US and the other nations they have 'sold' this daft idea to. Now back to AD. As a 'consumer' (as we all are) we waste an awful lot of stuff in our everyday lives. As do the factories that produce 'processed foods' and our agricultural practices. Food we discard, grass cuttings, stuff we don't eat in a restaurant, unused oils and fats in cooking, effluents etc, in fact anything that will 'rot' down. Now imagine if the waste collection authority/company was to have an AD system to throw all this organic waste into. Well they could then be in the power, heating and cooling business! Trouble is most of these organisations don't actually 'think outside of the box' like they all claim. If they did, rubbish collection would be really very profitable! Furthermore "Waste to Energy" is an important concept. It's not the same as Waste to Electricity, that's only using 25% of the ENERGY potential (for electricity). The heat and cooling energy has to be utilised. It needs somewhere to go and someone to buy it as well. The distribution of heat and cooling energy is the 'hard bit'. But that is the concept behind a coherent "waste to energy policy" that EVERY public authority or waste collection agency MUST adopt if their green credentials are to be believed. Otherwise its all just HOT AIR. (which is another story!!). Zero-polluting hydrogen buses that emit only water were unveiled today in London, providing a boost to the Mayor's plans to improve the capital's air quality. The first of the buses, of a planned fleet of eight, will start operating on 18 December using the latest hydrogen fuel cell technology, emitting nothing but water vapour. The buses will form the only hydrogen bus fleet in the UK and the largest currently in Europe. These state-of-the-art vehicles were specifically designed for Transport for London using pioneering technology developed by ISE, Wrightbus and Ballard. All eight buses are expected to be phased into operation next year creating the UK's first zero-emission bus route. The buses will join one of the cleanest, lowest polluting bus fleets in Europe which also includes 100 hybrid buses set to expand to 300 and from 2012 will be joined by the Mayor's New Bus for London, which will be 40% less polluting than a traditional diesel bus. Boris Johnson, Mayor of London, said: "These buses are a marvel of hydrogen technology, emitting only water rather than belching out harmful pollutants. They will run through the most polluted part of the city, through two air pollution hotspots, helping to improve London's air quality. This is just another way that our city is harnessing pioneering low emission public transport to improve quality of life, whether the New Bus for London, electric vehicles or my public bike hire scheme." David Brown, Managing Director for Surface Transport at TfL, said: "London faces many environmental challenges but we believe alternative fuels, such as hydrogen, will bring genuine long term benefits in tackling CO2 emissions. The arrival of these hydrogen hybrid fuel cell buses marks an exciting new chapter for London Buses as we embrace new technologies to further build on the excellent work we are doing to improve air quality for Londoners." 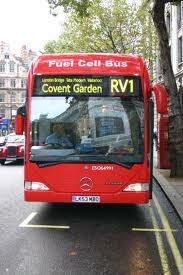 London has always been at the forefront in using and developing new technology, initially pioneering hydrogen buses in the UK when it took part in the Cleaner Urban Transport for Europe (CUTE) trial from December 2003 to January 2007. TfL operated three trial hydrogen buses on the route RV1, using findings from these trials and that of European partners to seek out these suppliers who have developed these next generation hydrogen fuel cell buses to operate in central London. 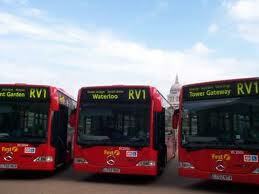 This next generation technology will be phased into service on route RV1 from Saturday 18 December whilst driver training takes place, with all the buses fully entering service in 2011. The buses are jointly funded by TfL, the Department of Energy and Climate Change (DECC) and the European Union via the Clean Hydrogen in Cities (CHIC) project. The London Hydrogen Partnership (LHP) launched an action plan earlier this year setting out ambitions to create a 'Hydrogen network' by 2012, to help accelerate the wider use of this zero-polluting, zero-carbon energy. There is no argument about the direction of the future of motor vehicles. All electric, Hybrid, Hydrogen Fuel cells etc. They are all being developed. But. What are we going to do with the 806,000,000 petrol and diesel vehicles already out there? I mean firstly not everybody can go and buy an alternative vehicle right now or even in the medium term. In addition manufacturers and the raw materials markets could not cope either. So whats the compromise? In practice the transition to alternative powered vehicles might take between 30-50 years. This is based on how a 'new' concept can become accepted as the 'conventional wisdom'. This occurs in all sorts of industries, from transport to construction. Reinforced concrete took 40 years to gain a place along side steel and brick. The diesel car took over 30 years in the UK to become 'accepted'. In addition technological advances along the way are also required. And let's not forget that the fight will be for dominance in the alternative energy cars, will it be Hydrogen Fuel Cell, All Electric, Hybrids or what? Remember VHS and BetaMax, then Blu Ray and HD. Which technology will win this race and what is the attrition rate to be? 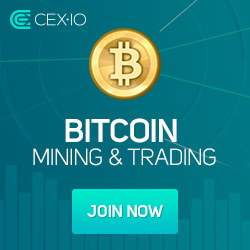 Who out there will be left owning some of the 'losers' technology without the means to use it? Therefore an intermediate step towards 'cleaner' technologies and fuels is needed. Now that diesel vehicles have become almost 'standard' we have to look at the disadvantages of diesel as a fuel. Irrespective of the relatively low CO2 emission, diesel has many other unpleasant problems, such as soots or 'black carbon'. These products of incomplete combustion are rather bad, in fact some are considered carcinogenic. They also explain why your engine oil gets so dirty so quickly. Diesel is a 'heavy fuel' with a very complex structure. During combustion many differing compounds are created. This is why diesels are less suited in urban environments such as city centres. Its also why the diesel taxi is now falling out of favour. In Hong Kong for example there are no diesel taxis at all. Being a very densely populated area, diesel exhaust emissions are becoming problematic. Not just human health either. The Sulphur compounds can accelerate the erosion of buildings when combined with rain. Therefore Autogas Network has decided that this transition fuel system should be built around LPG - Liquefied Petroleum Gas. LPG or Autogas is a mixture of Butane and Propane gases that have been lightly compressed to be stored in a compact fuel tank as a liquid. LPG has the added advantage that it is extremely clean burning with so little deposits from combustion that your engine oil will remain clean much longer (up to 70,000 miles is not unknown). Not only is it much cleaner than diesel and so ideal for high mileage taxis in urban locations, it emits less than 99.9% less soot than a diesel cab. Furthermore the infrastructure is already in place. 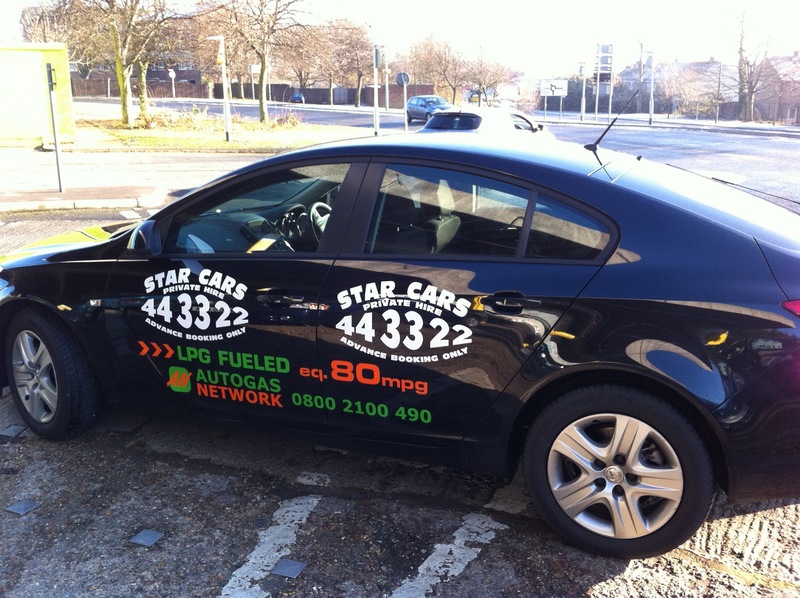 In Europe there are over 8 million LPG dual fuel cars with over 32,000 filling stations. In the UK alone there are 1,440 filling stations. So its not like the future or cars; where we need additional filling points and infrastructure. LPG or Autogas is the ideal intermediate fuel, the ideal compromise for cleaner cheaper motoring for all those existing petrol vehicles out there or still to be built. Let's not forget that the current motor manufacturers are still making brand new cars and have spent a huge amount of money in setting up production lines. These cannot just be switched off and electric cars produced - it will take years. Construction of a fuel cell with enough capacity to power 2,800 homes has begun on the UC San Diego campus as part of a renewable energy project with the city of San Diego and BioFuels Energy to turn waste methane gas from the Point Loma Wastewater Treatment Plant directly into electricity without combustion. When completed in late 2011, the 2.8-megawatt fuel cell will be the largest on any college campus, providing about 8 percent of UC San Diego’s total energy needs. The $19 million project requires no university funding: The project is eligible for $7.65 million in California Self Generation Program incentives; BioFuels Energy will provide the remaining $11.35 million in private investment, loans and investment tax credits. As part of a 10-year agreement, UC San Diego will buy the electricity produced by the fuel cell from BioFuels Energy at competitive rates. 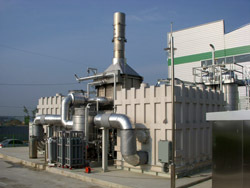 The university’s fuel cell also offers the potential benefits of cogeneration, or combined heat and power, in which waste heat can be tapped as a secondary power source, raising the overall net efficiency of the fuel cell to about 60 percent, compared with about 33 percent for coal- and oil-fired power plants. About 85 percent of the university’s energy needs are provided by its low-emission 30-megawatt natural-gas-fired cogeneration plant, which operates at 66 percent overall net efficiency. It is also called a combined heat and power plant because it generates electricity to run lights and equipment and also captures the plant’s waste heat to produce steam for heating, ventilation and air conditioning for much of the 12.5 million gross square feet of campus buildings. Waste heat from the plant also is used as a power source for a water chiller that fills a 3.8-million-gallon storage tank at night with cold water, which allows the university to reduce its peak daytime energy requirements by about 14 percent. 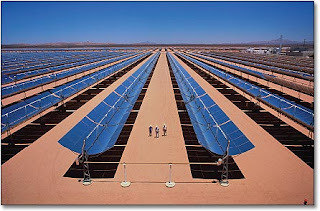 • High efficiency, 5.75-kilowatt sun-tracking concentrating photovoltaic array made by Concentrix Solar. • A compressed natural gas (CNG) fueling station for 13 CNG service vehicles, including two delivery trucks and two street sweepers, three sedans, three pick-up trucks and three buses. Vehicle emissions are lower with natural gas fuel than with gasoline because CNG-fueled vehicles emit 10 percent less carbon dioxide compared to diesel and 30-40 percent less than equivalent gasoline-fueled vehicles. • A chiller plant that efficiently produces the cold water required to cool the nearby Moores UCSD Cancer Center and Shiley Eye Center. • An electric-vehicle charging station. • A second chiller plant with 300 kilowatts of cooling capacity that will be powered by the fuel cell’s waste heat to cool the Cancer Center, Shiley Eye Center and other UC San Diego medical treatment, research and office buildings nearby. • An energy-storage system that will stockpile four hours’ output of electricity from the fuel cell every night during off-peak hours and release the electricity to the campus energy grid during peak-demand hours in the afternoon. The planned energy-storage system is eligible for an additional $3.4 million in Self Generation Program incentives and could reduce UC San Diego’s peak energy demand by 6 percent. 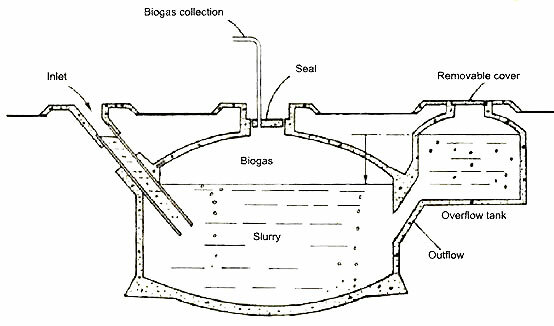 The city of San Diego will make money by selling the Point Loma Wastewater Treatment Plant’s biogas, which is purified on site and injected into an existing gas pipeline that will supply three fuel cells being constructed, one at UC San Diego and two at city of San Diego sites. “This project and the uniqueness of the concept is anticipated to pave the way for similar future applications,” said Frank Mazanec, managing director of Encinitas, Calif.-based BioFuels Energy. The three fuel cells are made by Danbury, Conn.-based FuelCell Energy, Inc. and use an electrochemical process to combine the methane fuel with oxygen in ambient air to produce electricity directly. Carbon dioxide and water vapor are also produced, but no nitrate or particulate pollutants are produced because there is no combustion. 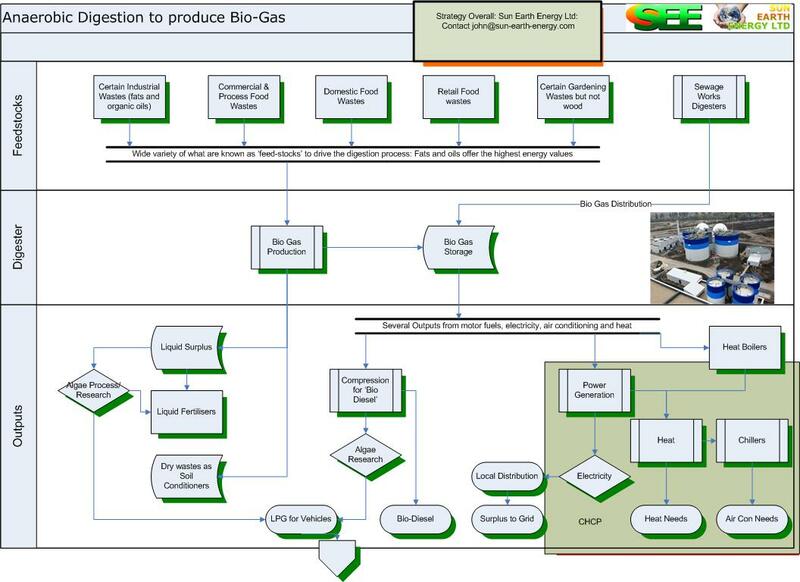 The so-called directed biogas project is the first time that a FuelCell Energy power plant will be fueled by renewable biogas generated at a distant location. The fuel cell being built at UC San Diego is one of the largest fuel cells in the nation to use directed biogas from a wastewater treatment plant,” said Kenneth J. Frisbie, also managing director at BioFuels Energy. "No university has a fuel cell this big." The initial aims of the research will be focused on tackling the expected challenges and demonstrating the project’s viability. Training engineers and scientists from Africa in the entire research and development process is also a goal of the project. 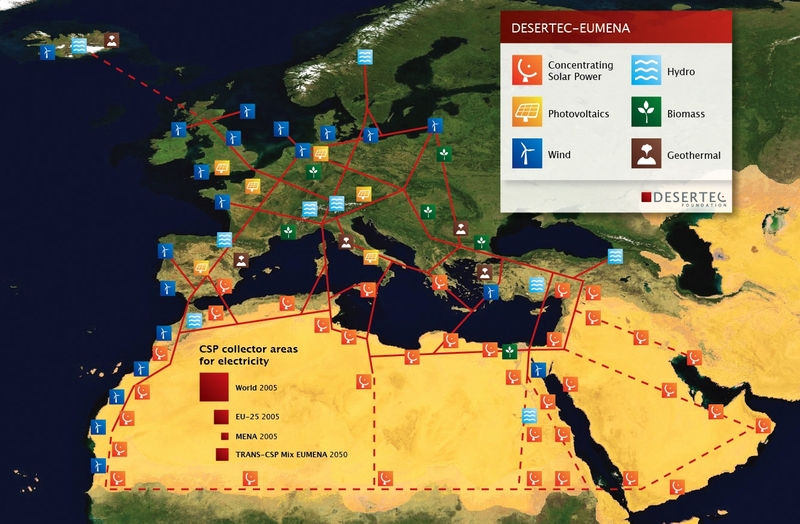 Another project aiming to harness solar power in the Sahara was launched last year. The Desertec Foundation aims to supply 15 percent of Europe’s electricity requirements by 2050 using high-voltage direct current transmission lines without superconductors The Destertec Project will also use mainly Solar Thermal Technology and little Solar Photo-Voltaic. 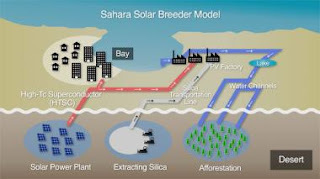 This is in addition to providing desalinization plants and domestic electricity to all the North African nations. 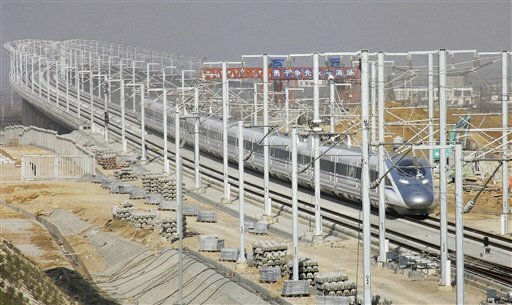 China' transport strategy gains an important boost with this achievement. Now as long as the electrical power is generated with clean technology then this is a great step forward. 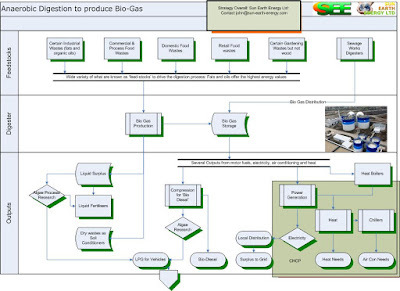 The process, using a unique integrated catalytic process, could open the door to a chemical industry based on renewable biomass feedstock. Dwindling petroleum resources combined with economic, environmental and political concerns about the petroleum-based economy in which we live makes it imperative to develop new processes for the production of renewable fuel and chemicals. The research, led by the University of Massachusetts-Amherst (UMASS) in collaboration with experts at Southeast University, Nanjing in China and Nottingham, and published in the journal Science, demonstrates how cheap renewable pyrolysis oil, bio-oils produced from biomass, can be upgraded into high commodity chemicals such as mono-alcohols, diols, light olefins and aromatic hydrocarbons — which are used in the production of plastics. Because of their oxygen content these bio-oils have not been of high enough quality to use in the production of synthetic fuels so far. Now the team of scientists have converted the bio-oils into 11 different biomass-derived feedstocks using a de-oxygenation process which makes them more compatible with current fuels and chemical crude oil refinery settings. This new catalytic process is flexible enough to produce different targeted distribution of organics to suit different existing petrochemical products in function of the different market conditions — for instance gasoline additive or feedstock for the chemicals industries. Currently, Aimaro Sanna is a research associate at the National Centre for Carbon Capture and Storage (NCCCS) based in the University of Nottingham’s Division of Energy and Sustainability. The Centre addresses issues of global importance in the area of sustainable and affordable energy technologies. Future advances in the field of metal and zeolite catalysts, combined with reaction engineering, will lead to the design of even more efficient and economical processes to convert biomass resources to renewable chemical industry feedstocks. The Nottingham research group lead by Dr. John Andresen is also proposing an innovative multi-steps catalytic process able to convert biomass into bio-oil by catalytic pyrolysis. Despite the fact that the original biomass contains undesirable high oxygen contents, the catalytic pyrolysis under investigation is able to sensibly decrease its oxygen content. This would be beneficial to the further upgrading of the bio-oil by the novel process developed at UMASS due to a low amount of hydrogen that would be required in presence of low oxygen level in the starting bio-oil. Supplying Electricity (or more accurately supplying ENERGY) is in the process of metamorphosis because people want to know what is the most sensible and efficient way to utilize all types of energy sources and needs. German researchers at Fraunhofer put the most common ideas for heating under the microscope and come up with findings that may not please the larger utility companies. 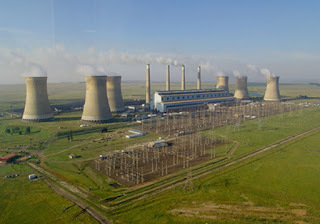 6 Cooling Towers shown 3 either side of the main generation building allow the rejection of around 60% of the energy released by this coal fired station to be sent into the atmosphere. The steam rising from this wasteful practice is often confused as smoke from the burning of coal. This work from the respected Fraunhofer Institute in Germany is starting to ask some radical questions about the conventional thinking in centralized power generation. Looking at decentralization and combining power with heat and cooling loads can make fuel burning efficiencies as high as 80% and compares much better than the wasteful cooling tower designs which let 60% of the fuel energy be 'wasted' to the atmosphere. John Burke SEE, 1st December 2010. Supplying energy is in the process of metamorphosis because people want to know what is the most intelligent and efficient way to utilize all types of energy carriers. German researchers at Fraunhofer put the most common ideas for heating under the microscope and come up with major potential. 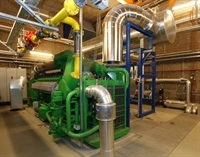 Cogeneration plants are taking advantage of these potentials. 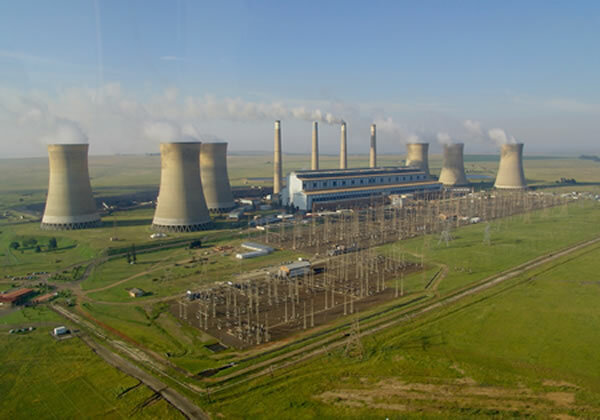 While large-scale power plants lose an average of 60 percent of the energy as waste heat through the cooling tower, cogeneration plants use this flow of heat for heating purposes, which means that they achieve overall efficiency of more than 80 percent. The researchers distinguished four categories of heat generation in their analyses: burning, cogeneration and using heat pumps or waste heat from industrial processes. And we could take advantage of the fact that there are a whole series of applications where heat is needed at different temperature levels.